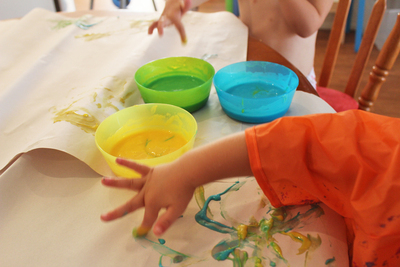 Finger painting is a great way to get creative and get messy, two things that kids generally love. 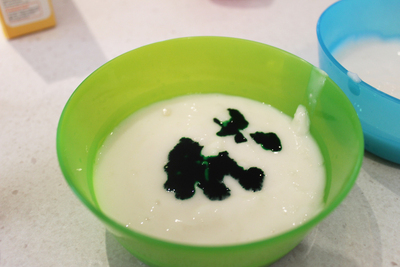 By making your own finger paints, rather than using regular paints, you can save money and make sure there aren't any toxic nasties getting all over your child's hands (and possibly their mouth). 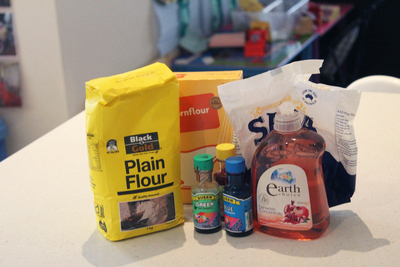 Take out the washing up liquid and this recipe won't taste nice, but it will be completely edible. Adults will have to take over most of the preparing process, but slightly older kids can help with the measuring and stirring of ingredients. 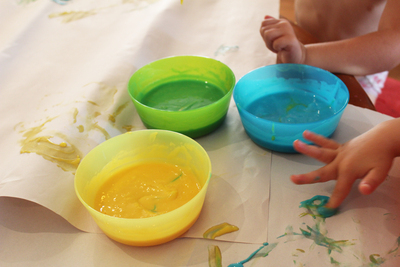 Kids under 5 won't be able to help, but they'll have lots of fun afterwards playing with the paint. 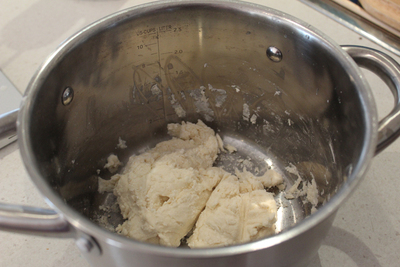 Add all dry ingredients to a saucepan, along with 1/2 cup of water. Mix until it becomes thick. 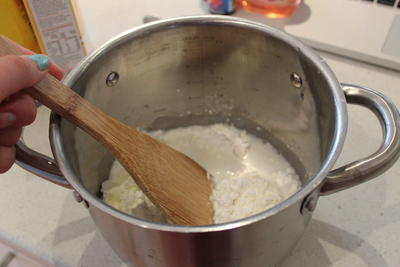 Put the mixture on a low heat, and add 1 cup of water. 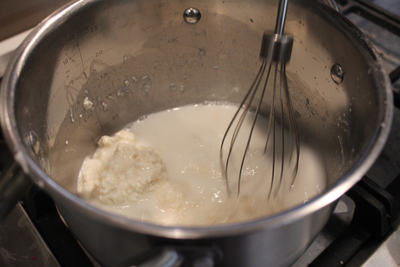 Whisk to try and prevent lumps. 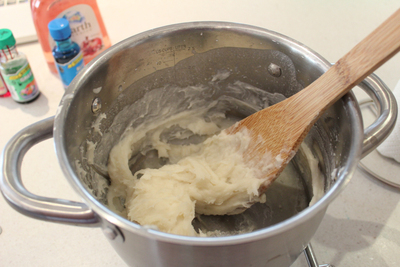 Once whisking becomes difficult, switch to a wooden spoon. You should end up with a thick, sticky paste. Remove from the heat, and stir in 1/2 cup of water. Add any extra water to get paint to the right consistency. It should still be a little bit thicker than regular paints, but should be smooth and a little bit runny. You can add a bit of washing up liquid once it's cooled down which will help the paints be a bit smoother. If you're painting with littlies who have a habit of putting fingers in their mouths, leave the washing up liquid out. 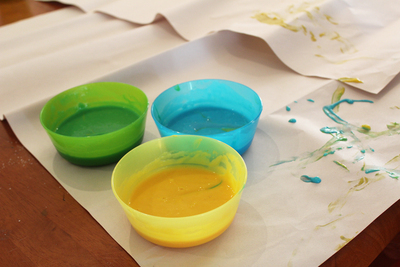 Divide the colouring into bowls, and add in a few drops of food colouring. I like to cover the table with butchers paper, and just let them go wild.